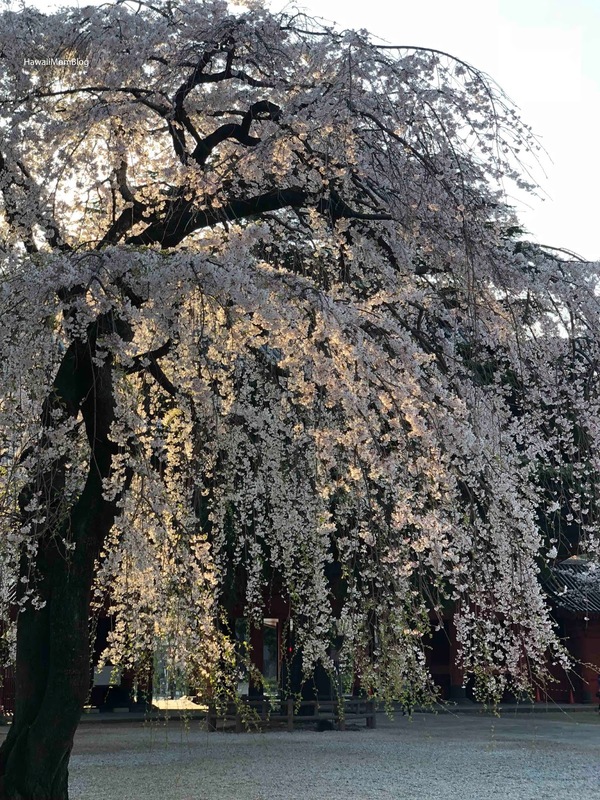 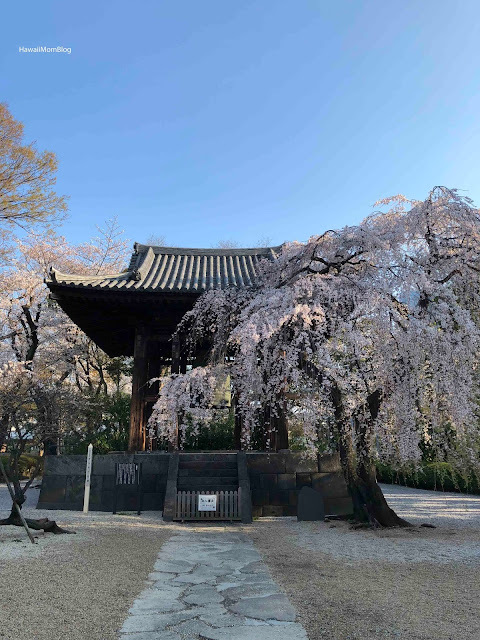 Last spring we visited Zojoji Temple when the cherry blossom season had just begun. 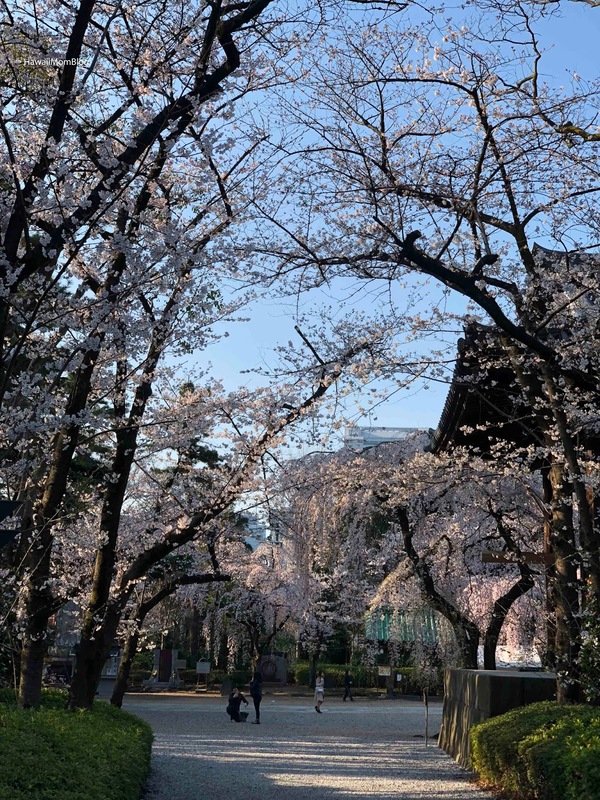 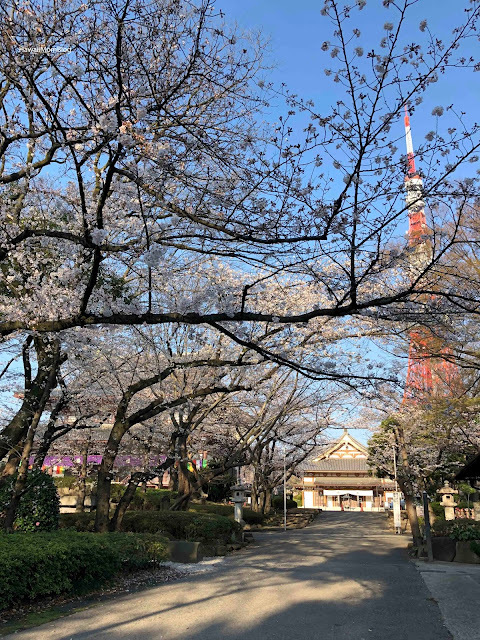 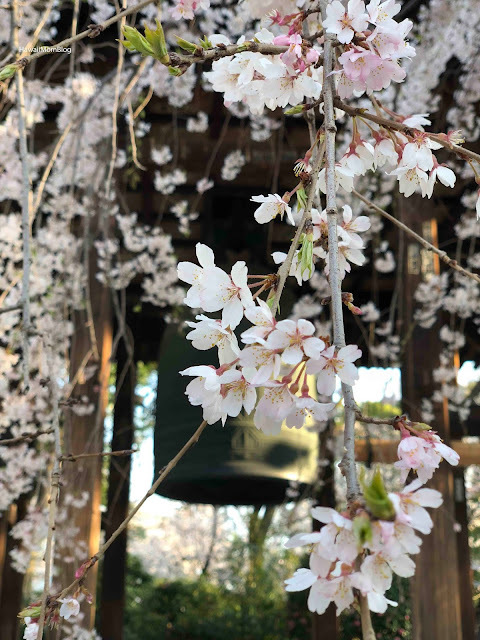 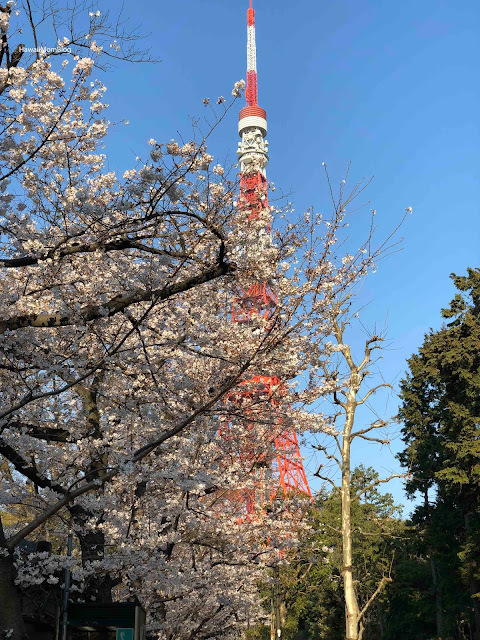 This spring break, we lucked out with an earlier-than-usual cherry blossom season while we were in Tokyo, and we were fortunate to see a lot more blooming trees. 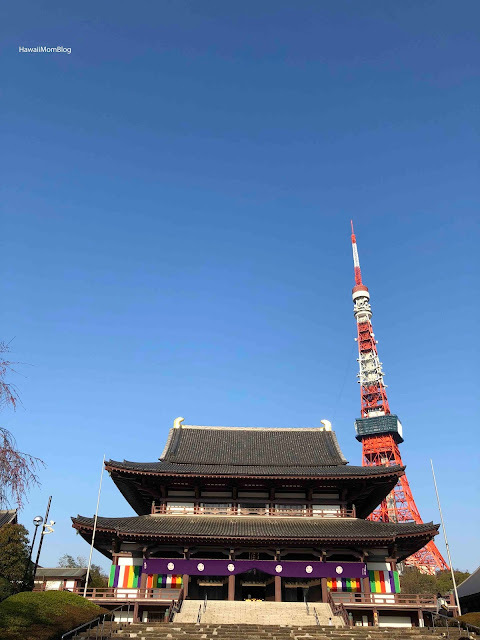 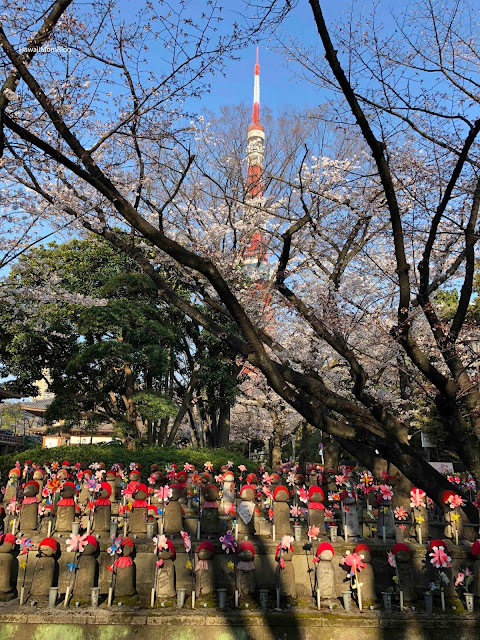 There were not a lot of people on the grounds of the temple, which made for optimum photo opps with Tokyo Tower in the background. Be sure to give this place a visit during cherry blossom season!